I’m on vacation this week so I’m reposting a couple of blogs that contain messages that warrant repeating. Pearson’s Law, originally written 12-15-08, exemplifies the importance of metrics and Positioning Systems Strategic Discipline formula. It’s largely reprinted with a few minor additions. Do you want to see dramatic improvement in your people’s performance? Read further. The results of a recent bank visit to one of our Gazelles coached customers provides significance to the importance of producing visible quantification for performance in your business. As the bankers toured the business they noticed in each cubicle, charts on the walls that provided a red, yellow, green, and super green notation indicating performance levels for the specific numbers this person produces. 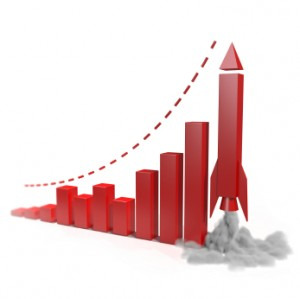 In the break area prominent charts displayed the businesses performance in a similar fashion for the quarter and year to date goals and themes. In addition, one room was designated as their situation room where the executive team and departments would meet to discuss weekly, monthly, and quarterly goals and assess progress and collaborate to solve issues and problems. This room’s walls were decorated with similar charts for business, department, and specific customer service goals for the business. By the end of the tour the bank officers were so impressed they felt they could provide a better loan package and improved rates to this business. They noted how focused the business was on the critical numbers for their business, and how each individual in the business was aware of the necessity to produce specific results in turn to help the business achieve its goals. 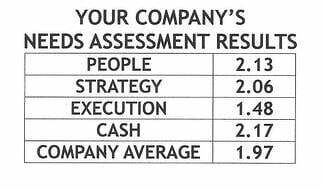 The accountability factor of these chart, they said, was the sign of a well-run business and was sufficient to give them confidence that this business would continue to be successful in the future. Is your business doing this type of accountability for your team members? Does your business have company, department and individual dashboards so that everyone can measure their performance against expectations?